The true value of your financial plan is determined by the experience and skill of the professionals who help create it. 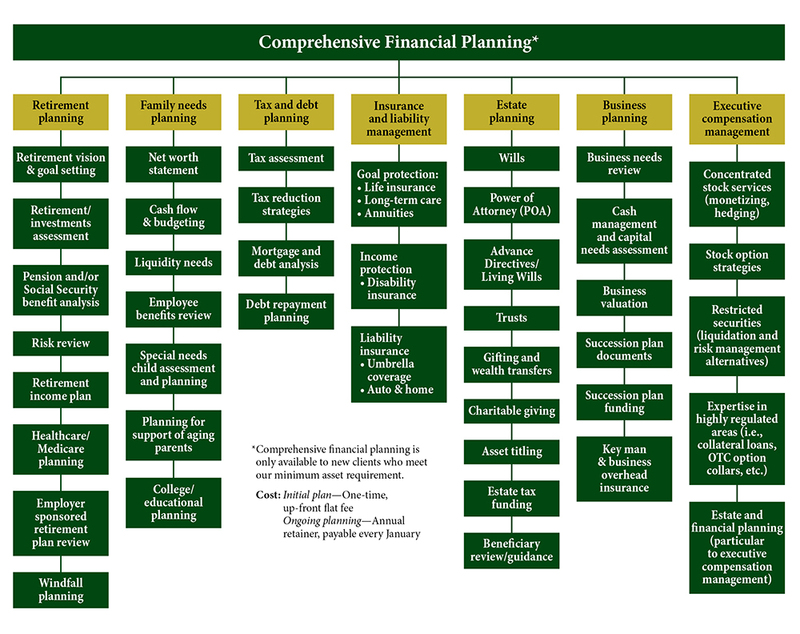 With multiple CERTIFIED FINANCIAL PLANNER™ practitioners on staff, and our partnership with the award-winning broker/dealer, Commonwealth Financial Network®, you have a team of distinguished, credentialed, and experienced professionals to help develop your comprehensive financial plan. Through our team approach, we will guide you through our financial planning process to create a financial plan that accurately reflects your current financial status and paints a clear picture to illustrate your path to financial independence and goal achievement. Choosing from the areas of our expertise below, we will craft a plan tailored to your unique situation.